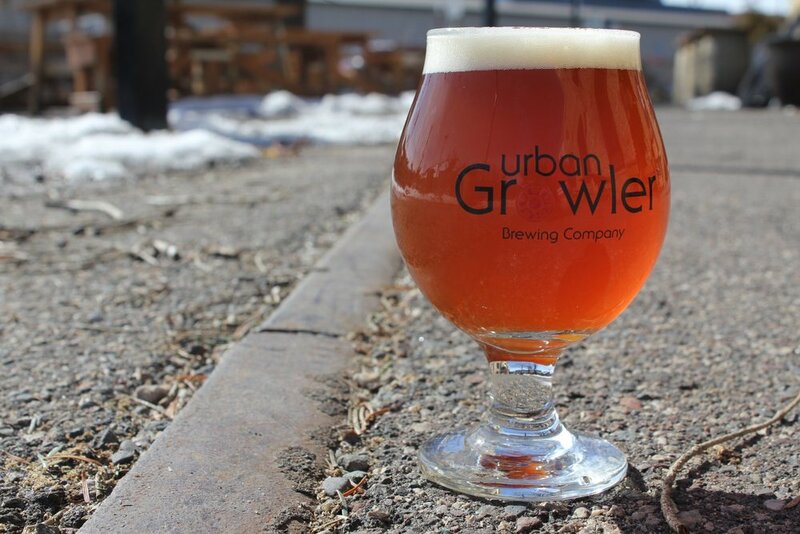 Urban Growler's bread and butter- You can always find these great beers on draft in the Taproom. The 2012 Minnesota State Fair Blue Ribbon winning IPA. This is an English Style IPA with a sturdy malt backbone that helps to balance the hop bitterness in this IPA. Minnesota nice? Sure, with attitude. This is a beer you wanna hang with all night - like the cool kid on the block - the inclusive, confident, well liked cool kid. It’s delightful, it’s delicious, it’s De-Lovely. Smooth and dark yet refreshing. You don’t have to wait until the snow falls to enjoy this dark beauty. Enjoy. Try it with some of our Spinach & Artichoke dip. Previously known as City Day Ale™. This is a Kentucky Common style brew; this style was popular before prohibition but disappeared as time went on. We are helping to bring this now uncommon style back to life. So, what is it? Kentucky Common takes the bourbon recipe and modifies it for beer. Instead of distilling the mash and making bourbon, we boil it and add hops – and our own twist of course. This well-balanced beer takes cues from IPA brewing techniques from all over the country: West Coast style hop bursting blends with an East Coast maltiness on top of a smooth, round pallet reminiscent of the new breed of IPAs popularized in the Northeast.